Tiles are used to cover surfaces - floors, walls, ceilings and other. 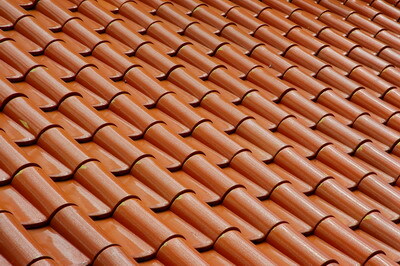 Roof tiles are tiles that cover residential homes’ roofs. Roof tiles were once made of baked clay, but in modern times they are made of different hard materials such as stone, metal, glass or ceramic. They are usually made of whatever material is available locally, such as clay and slate, for keeping rain water out. But modern technology invested in developing roofing tiles their purposes are much wider, as solar roof tiles exemplify with their energy conservation and eco-friendly aspects. Design too has come a long way and roof tiles are no longer strictly utilitarian, but also decorative. 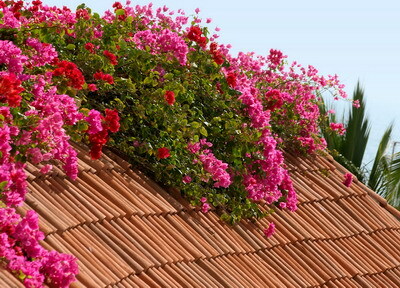 Roof tiles seem to have originated in Corinth, Greece as early as 650BC. From the use in temples, they spread to the Eastern Mediterranean, appearing to take an S-shape, with the pan and cover tile forming one piece. The main purpose of roof tiles in its early age was its fire proof feature. Today not only temples use roof tiles but homeowners do too. And their purpose is not strictly fire protection but more diverse. There are several different styles (also referred to as shapes or profiles) of roof tiles including the simplest flat tiles, laid in traditional overlapping rows, mostly made of stone, wood and solar tiles. The interlocking Roman roof tile is flat in the middle and curves at one end so that it fits with the next roof tile. 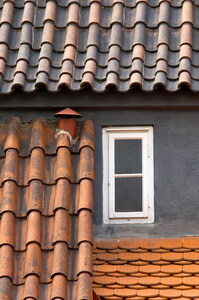 The S-shape roof tiles remain in use and are called Pantiles. They interlock as well, though in a ridged pattern. 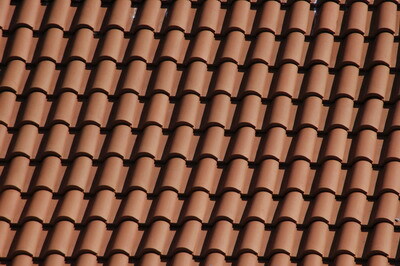 Mission roof tiles are made of clay, semi-cylindrical in shape and laid in alternating convex and concave rows. There is no advanced science to installing roof tiles. With the use of nails, roof tiles are hung from the roof’s framework, typically in parallel rows, in a manner that has them overlapping to keep rainwater out and cover the nails. If the material is simple and not extremely heavy or technologically sophisticated, roofing tiles can be laid without professional help. Roof tiles removal may be a more complicated issue, though. All in all, tile roofs can last decades, over 50 years depending on the quality of the material the roof tiles are made of. Make a wise choice of style, shape, material and color, install them with care and enjoy long years of aesthetically appealing and highly efficient roofing tiles.